Dartball game spare balls come in a pack of 3. 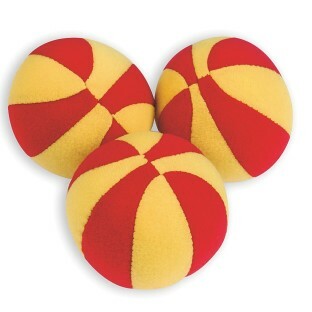 These 6cm fabric balls stick to any hook-and-loop surface so are suitable for other games as well. Filled with a cotton stuffing, sticky dart balls are much lighter, safer and more durable than traditional hard “tennis ball” style balls used for the same purpose.